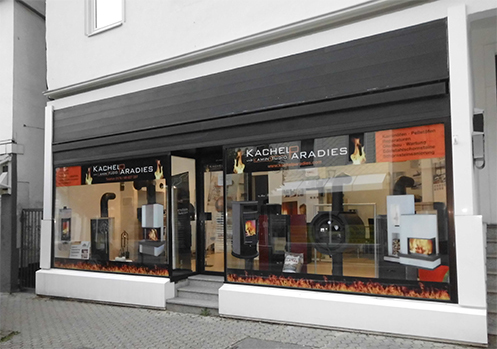 Welcome to the Kachelparadies und Kaminstudio. Delivery of pellets, wooden briquettes etc. We would be delighted to welcome you in our studio. With us you get a competent advice from our team. Warmth in every price class. We provide you with ovens for rent for various purposes(E.g. Construction measures, Renovations or New buildings). The corresponding heating material can also be obtained from us. For our craftsmen who want to realize their own ideas, we will gladly supply the appropriate material and advise you on all questions. We would be pleased to wait and clean your tiled stoves. We also carry out repairs at fair and reasonable prices. We have suitable material for our self-assemblers and we are at your disposal also with advice and deed. Furthermore, we also repair glass damage to stoves, tiled stoves and heaters.